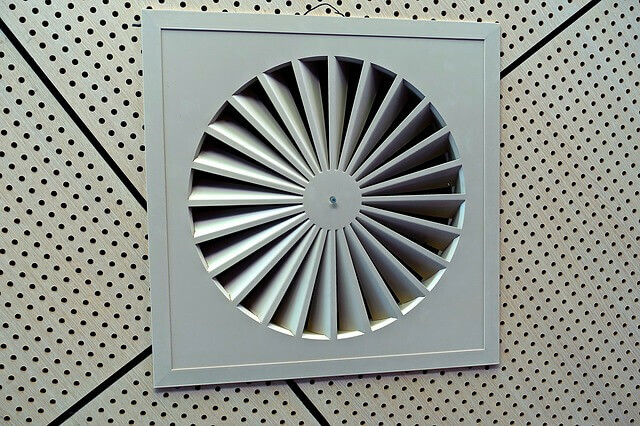 A mini duct air conditioning system is a new innovation that uses a rectangular or circular trunk. How does a Mini Duct Air Conditioner work? It’s placed outside a home or establishment. It has a high-pressure blower that compresses the air, making it stay in contact with the cooling coils for a longer duration. This cools the air inside the trunk more rapidly and efficiently. This cool air is then distributed to the different designated places through small diameter insulated tubes. The small diameter of the tubes forces the air to quickly arrive at its destination. It won’t take up much space. This is because the trunk is placed outside, and the ducts (which are located on the ceiling) are small. It can directly cool down specific parts of the room. Unlike a central air conditioner, which needs to cool down the central area before it cools other areas, the mini duct air conditioner will directly distribute cool air into the desired areas. Even distribution of cool air to designated places. In contrast to a central air conditioner, where the cool air is more concentrated in the ACs location, a mini duct air conditioner will directly distribute the cool air to all areas equally. The high-pressure blower, which compresses the air into the cooling tubes, will not only decrease the temperature but also dehumidify the air. It’s energy and cost efficient. Because of the direct and even distribution of the cool air to all areas, the mini duct air conditioner will quickly cool down the entire house or establishment. This reduces not just the time but also the energy and expense (goodbye high energy bills) needed to cool the entire area. Based on the advantages above, we can conclude that a mini duct air conditioner will be beneficial to consumers and businesses in a lot of ways. In order to determine the usefulness of mini duct air conditioning, you should try experiencing it for yourself first. Have you experienced a mini duct air conditioner before? Leave your thoughts in the comments below. Who knows, your experience might help someone else who’s sitting on the fence to decide if the mini duct air conditioner is right for them.